If you're going to make a film set in the past or present that in any way touches on the issue of racism, it's best to prepare yourself. Make sure you have all your bases covered, do your homework, insure there aren't any inaccuracies and brace for the inevitable backlash. What the backlash will be or why it exists may as well be anyone's guess, but when you tackle a topic as sensitive as this and it's based on a true story, at least some controversy is inevitable. 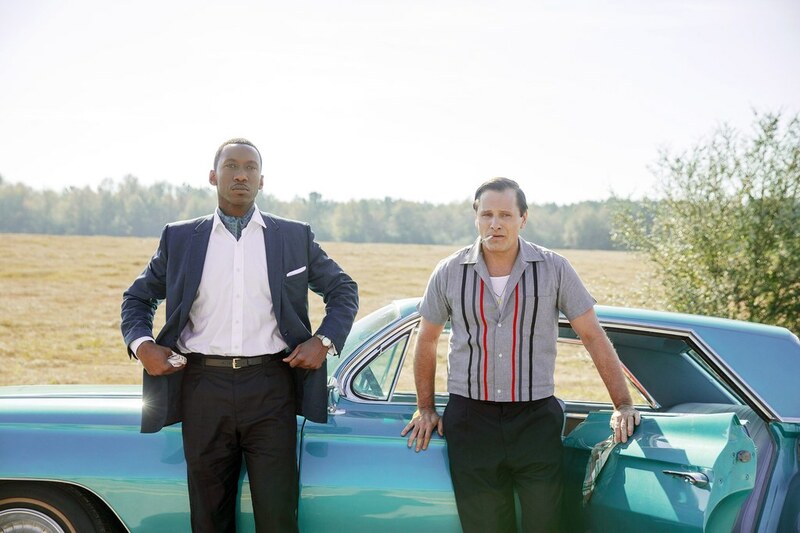 Peter Farrelly found this out the hard way upon signing on to co-write and direct Green Book, a film detailing the bond that develops between a renowned African-American pianist and an Italian bouncer when the latter serves as the musician's driver and bodyguard for his 1962 Deep South concert tour. Covering a shameful part of U.S. history while keeping a relatively light tone in the face of its deadly serious subject matter was enough to raise eyebrows in a year that saw Black Panther and BlackKklansman nominated for Best Picture. That it was made by the director of Dumb and Dumber and drew comparisons to Driving Miss Daisy would seem to be the final straw, until it actually won the top prize on Oscar night, defeating films considered more progressive and a better indication of where we're culturally headed. If rumors are true, Farrelly's picture turns back the clock to when Hollywood was only capable of telling the stories of black people through white characters, and a show of support is akin to a vote for the establishment. Of course, none of these aforementioned points have anything to do with the movie Green Book. and when you actually sit down to watch it, that all turns into background noise. It's not that the controversy should be casually dismissed, but rather it becomes a major distraction when trying to form even the most subjective opinions on the film. That it's inspired this much debate is a credit to the picture, but eventually you reach a place where even that needs to be shelved in order to examine what's directly in front of you. Some may wonder what all the fuss was about, as the most noteworthy thing about it just might be how competently made and inoffensive it is. Frank "Tony Lip" Vallelonga (Viggo Mortensen) is a New York City bouncer working at the Copacabana when he gets word that the nightclub is temporarily closing for renovations and he'll need to find a paying job for the next couple of months in order to continue providing for his wife, Dolores (Linda Cardellini) and their young kids. So when a call goes out looking for a driver, Tony arrives for an interview above Carnegie Hall to meet a man referred to as "Doc." The doc in question is African American pianist, Don Shirley (Mahershala Ali), who's looking for a driver and bodyguard for his eight-week concert tour through the Midwest and Deep South. Hailing from what seem like entirely different worlds, the refined, cultured musician hires the tough talking Italian from the Bronx, with the record label supplying Tony with a copy of the Green Book, a guide specifically detailing all the motels, restaurants and gas stations that will serve African Americans. They clash almost immediately as the awkwardness of the foul-mouthed, bigoted Tony cheuffering a highly educated black man through the Deep South in the '60's is matched only by their wildly differing dispositions. But as the trip progresses, they start to find a common ground, as Tony is impressed by Don's talent as a musician while simultaneously being appalled at the treatment he receives by the racist white audiences he performs for. If plenty of comparisons have already been made to a reverse Driving Miss Daisy in terms of both plot and tone, the road trip aspect of the story actually comes closer to recalling Planes, Trains and Automobiles, minus the two former means of transportation. There are many moments and extended sequences that tackle the racism Don faces at nearly every stop, but a lot of the picture frequently consists of scenes of them arguing and offending each another, like a bickering odd couple of sorts. It's here where the script does actually resemble a more traditional Farrelly project, even if no one would ever think to confuse it with a conventional comedy. That those scenes co-exist alongside more unnerving ones involving racism in which Don is bailed out of potentially volatile situations by Tony have lead to complaints about this being the latest example of Hollywood's "white guilt," or perceived inability to tell stories about African American characters unless it's filtered through the heroics of some kind of white savior. But that doesn't seem fair in this case since this is one of those rare cinematic interpretations of "true events" (co-written by Tony Vallelonga's son Nick) that gets most of its facts right, to the point that it was even approved by the two protagonists before their recent passings. And despite recent complaints from Don Shirley's family that their relationship to him was misrepresented or accusations that Don's homosexuality is brushed under the rug, neither of those issues seem particularly relevant to the film or what it's about. Especially the former, which isn't even really addressed enough to warrant such a negative reaction. Through Mahershala Ali's performance, we recognize that this a story as much about identity as race, with Don having earned the respect of white society as a musician of considerable talent, worthy of playing their parties if only so they can feel more cultured and refined. But the second that playing ends, it's clear he hasn't earned that respect from them as a human being because of the color of his skin. He can't eat at the restaurants where he performs or use their bathrooms, and he also feels like an outsider at the predominantly black "Green Book" motels at which he stays since his station in life differs so drastically from theirs. Everything from Ali's posture, to how succinctly he speaks each word is not only meant to reflect an individual with impeccable class and intelligence, but someone repressed and hurt enough to use it as an armor to deflect the prejudice he encounters. Playing Don as outwardly cool and composed, Ali just barely lets us see through the cracks to the suffering, which makes it all the more difficult to watch. Tony has no identity crisis, as he's unapologetically himself in the most blunt, abrasive way possible, often to his own detriment. Tony's bigotry comes mostly from ignorance, but even he has to draw the line when he sees how disrespected his boss is, accurately assessing that if Don is permitted to perform in these establishments, it's insane that he's forbidden to sit and eat there. Transforming himself by adding more than a few extra pounds and a Bronx accent, Mortensen's portrayal of Tony is definitely one of his more entertaining turns if only because we've never seen the actor, who's known for darker, more intense roles, tackle anything so over-the-top before. He becomes the perfect foil for the more subdued Ali, who feels more like the film's true lead, regardless of how they were categorized during awards season. That most were ready to tear this effort to shreds sight unseen doesn't mean it isn't still a fairly predictable, crowd-pleasing picture that recalls a simpler time in Hollywood when no one was afraid to rock anyone's boat when handling potentially delicate material. Farrelly doesn't take risks or push any buttons in delivering a satisfying, heartwarming story that confronts racism, sometimes powerfully. And while most of that power comes from the performances, the one thing that's been lost in the conversation is the film's actual quality, which will ultimately have the final say in determining how well or poorly Green Book will age. Even if the reaction it's garnered may build the best argument yet for the Best Picture Oscar as a snapshot of the year in which it was released. For better or worse.